Add the finishing touch to your shaded outdoor dining set with the Galtech 75 lb. Cast Aluminum Umbrella Base. 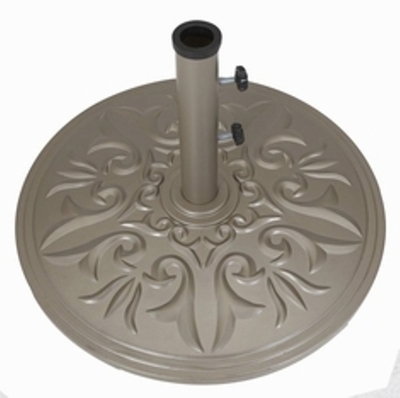 Constructed of weather-resistant cast aluminum, this decorative base is available in several powder coated finishes. Long and short tubes are included for use with various sized umbrellas. This base is designed to be used with umbrellas that are mounted through patio tables. It is not recommended for use as a free-standing umbrella base.